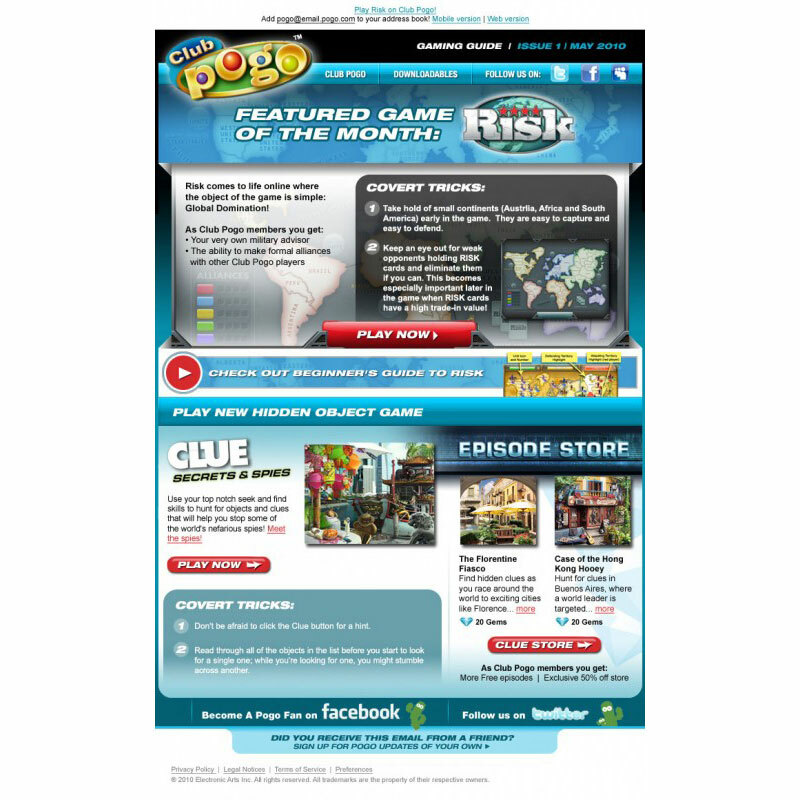 This custom HTML template was created for Pogo as part of their video game email marketing campaign for their new online game Risk. 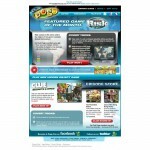 It showcased their online games each month, and gave the user tips and tricks on the featured game. Since this newsletter featured only 1-2 games, it was decided to design each newsletter in the look-and-feel of the featured game for that month. I designed for, and managed, this client on a retainer basis.